In Forever, I excise the text from the New York Times to reveal its surface as an ephemeral, delicate skin. 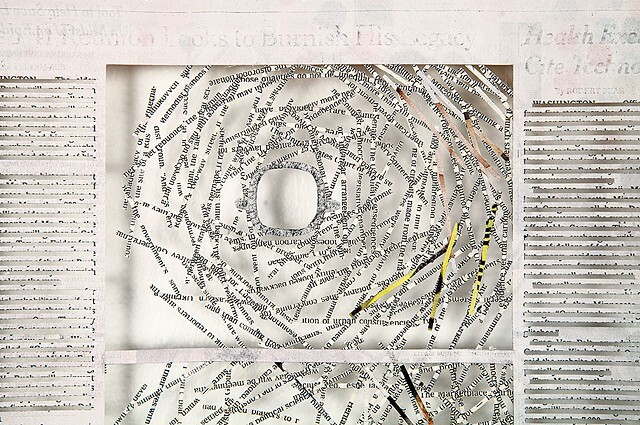 After cutting the photographic images from the page, I create intricate webs of the removed language evocative of galaxies, where diamond jewelry takes the place of planets, suns, stars and moons. I am investigating the way that media constructs and maintains value systems through emotionally manipulative language, specifically the diamond industry.